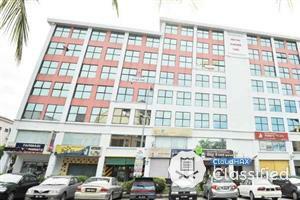 MELAKA Cheng Baru Virtual Office for RENT Address: 14-1, Jln Cb 1, Taman Cheng Baru Monthly Rent: RM 180 Size: 60 sq.ft MAIN ROAD location, save $$$$ nothing more to pay, pay rent only. Tesco Cheng 2 minutes away, KL to Melaka Toll 15mins away, food heaven around. FREE PARKINGS, Free WIFI , free rental deposit, free air-cond, free tenancy! Call now or Watsspp me on weekday working hour: 01110890345 ( whatsapp prefer) / 012-7700345 (for call or SMS ) / 06-3366373 ( office ) or you can reach me through my email Degoodeshowroom@gmail.com .